Transformation—the discovery of a new way of being—begins with an event that dramatically disrupts the familiar flow of life. In Ellen’s case, transformation begins with a combination of disruptions: a career change; a move to Nashville, Tennessee; and introduction to a power animal through the experience of a shamanic soul retrieval. 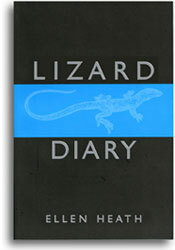 The personality of Lizard is chameleon-like, flamboyant, and wise. 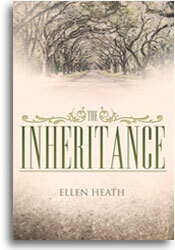 When Ellen discovers that she can contact him in an altered state of consciousness, they embark on a spiritual journey that ultimately enables her to follow her bliss in Santa Fe, New Mexico. 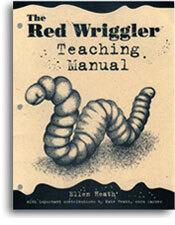 The Red Wriggler Teaching Manual provides a rich multidisciplinary educational experience with the remarkable composting worm called the red wriggler. This industrious little worm plays an important role in improving the health of our planet but also in teaching us how interdependent we all are. The Manual first discusses increasing public awareness of toxicity in our environments and food and the role of the red wriggler in addressing this problem. Second, the Manual offers a program of educational activities at various levels of difficulty in science, math, social studies, and language arts, including building a living red wriggler habitat. With the Manual in hand, any teacher—or anyone with the instinct of a teacher—will be able to create exciting, enjoyable, interactive, and even inspiring learning experiences around the culture of the red wriggler. The red wriggler literally turns garbage into manure so rich in nutrients that it is known as “black gold.” It is an inspiring metaphor of how we humans can also transmute the serious problems developing in our deteriorating environment. from CA The Worm Farm, a great source for premium gardening and composting products, books and more.